Welcome to the haunted hovels section of Haunted places in New Jersey. Please select a link below to view information on that location. During the years this building has stood many of the employees have experienced several things from ghosts physically appearing, looking very much like a live person, to see them walk down the hall and then disappear, to hearing the sounds of children playing in the lobby late at night. One member of staff even reported falling asleep on the couch in the lobby and being woken up by the sounds of children playing in front of them. They even saw glimpses of them as well. There are many reports of the sound of moving furniture in unoccupied rooms, the sound of people walking down the hall but no one actually being there, the sense that someone is standing behind you, but again no one is there. Guests also report hearing children running down the halls laughing in the middle of the night, but there are never any actual children doing that. In fact it is a rare occasion that children stay there. What is now the auditorium of the high school used to be the Junior high section. It has been said that a boy that was around 14 years of age hung himself from the stairwell, it as also been said that he was pushed and broke his neck, all that is certain is that a young bot has died there. They say that if you go there just before the school season starts you can see a boy opening the doors to the auditorium with school books in his hands. Also on many nights when the high school has put on plays there is a boy standing at the back of the room just watching. This was an active World War Two Factory making P.T. boats, after the war a lot of people lost their jobs due to htem not needing the equpiment anymore. During the war one of the boats fell off the conveyor belt and crushed two men. And sometimes to this day there is a little girl that has been seen looking for her father, and her father has also been heard shouting back to her, over and over again. There is a male who haunts this yacht club, he was said to have hung himself in one of the upstairs bedrooms. They say that if you enter the room in the dark, a cold icy feeling passes over your skin. In addition to this bottles have been seen 'jumping' off the shelves at the back of the bar, even though they do not breaking, and if they are then replaced on the ledge, they will again leave the spot to land on the floor. This building used to be a monastery before it became the college it is today. It is said that one of the monks that lived here hung himself on the third floor of the building. Security guards for the college have often reported hearing footsteps thumping down the hall of the third floor. They often avoid interior patrol. This school was was originally a boarding school that was founded in 1837. Over the years students and the staff have reported seeing balls of light floating along most of the hallways, hearing footsteps following them from the third floor of Scarborough Hall, the doors on that floor also open and close on their own, and the lights in that hallway turn on and off of their own accord. In the Chapel people have reported seeing and hearing little children signing and feeling a weight pressing on their chest whenever they enter. One of the toilets near to the Chapel has taps that will also turn themselves on and off occasionally. At least three ghosts have been seen in this wildlife reserve and beach. Higbee appears whenever someone approaches his grave, he has also been seen chasing the ghost of a slave down the wooded paths. There are also reports of a phantom sailor that appears in his beige coloured 'slops' standing on top of a sand dune who then disappears. There is the mischievous ghost of an elderly woman who likes to stay around Room 10. She was a frequent guest at the hotel and during her stays, she developed a close friendship with the previous owner's child, which is why the activity is strongest and occurs more when children are in the room. Televisions and lights turn on and off by themselves, objects have been moved around, and strange feelings and sounds have been experiences by many of the people who have stayed in the room. A female spirit occupies the kitchen area of the hotel. Legend says that the ghost was a former kitchen employee of the hotel. She choked to death on some food and is still felt in the hotel today, mainly in the walk-in storage room. The rooms 4 and 5 in this bed and breakfast are home to two spirits. Room 4, also known as the Susan Craig Room, is haunted by the ghost of an unidentified red haired girl. Room 5, also kown as the Lucy Johnson Room, is haunted by a ghost that likes to sew, named Lucy Johnson, who reportedly replaces the missing buttons on the clothing of guests who stay in the room. This restaurant was formerly known as Maureen's and also New International Cuisine, this Italian restaurant houses the ghost of a baby girl, who the owners have named 'Gloria'. It is believed that she was either murdered or that she died whilst she was in her cot. Most of the activity occurs in the cupola and on the upper floors of this restaurant. Customers and also staff members have felt her presence and have heard the rustling of furniture in the upper floors. An old black-and-white photograph that was taken at around 1900, located near the entrance in the downstairs lounge, shows the ghostly image of the baby girl or 'Gloria'. What is so shocking about this picture is that she appears to be trapped in an old column. The picture has been enlarged and examined by experts and the owners, and it has been determined that there is no way a baby could stand in that position. The ghost of a well-dressed woman who is wearing a strong-scented perfume has been seen by many people. She is believed to be Esther, the niece of Captain George Allen who built the house in 1863. People have felt her presence, smelled her perfume, heard her laughing, and seen her dancing throughout the house. The owner thinks that Esther is just a spirit who wants to party and is not there to cause any harm or distress. On several occasions, many people have heard the rustling of her petticoat drift down a hallway or into another room. There is a farmhouse that dates back to the mid 1800's, it i now refurbished and occupied by ClinCon Research. It is said to be haunted by young girl in a white dress. A 19th century farmer living in the house often saw the girl staring at him, and sometimes saw her crying, through a window. His dog refused to go in the room where the girl liked to make an apperance most often. Finally, tiring of this behavior knowing there was no danger, he locked his dog in the room, and the dog chewed and clawed its way almost all the way through the door to get out. The farmer once confronted the girl in a hallway, but when she turned towards him, she had no face. Recent incidents include unexplained movement of furniture. Many old buildings along Main Street, including the Public House Inn, are haunted. This high school is said to be haunted by a former principle who died after having a heart attack late one night on the way up the steps in the northwest wing of the building. Teachers who work at the school late at night report hearing heavy footsteps going up the stairs and then stopping, rushes of cold air during the summer, the building is not air-conditioned, and doors opening and closing by themselves. Holy cross high school has a lot of ground, and they say that if you are driving through there on a clear night, you will find yourself in the middle of a dense mist. There are many reports of ominous noises about within the few dilapidated buildings and houses there, usually and most frequently coming from a house that has been painted blue and also the abandoned hospital that is behind the house. There are many rumors of abnormalities such as shadows, the sounds of footsteps and also shouts and cries from within the hospital. The Newborn Nursery is reportedly haunted by a woman in white. A room in the Special Care Nursery is known for suddenly becoming cold and furniture and equipment is known to move by itself. A crying baby can often be heard in the third unused Nursery. A room in the postpartum ward is known for a rocking chair that rocks by itself and also a toilet that flushes by itself. The hospital operator one night received a phone call from a patient's room, the voice on the other end requested that she send 'help'. The call came from a room that was in a closed down, unused ward and had no telephone. The third floor of this middle school along the hallways and also the boys toilets are reportedly haunted. It is believed that they are haunted by a boy around the age of 13 who committed suicide because of both family and school problems. Students have said that when they walk into the bathroom they feel a cold wind. Also staff that have stayed late have reported that they have seen the bathroom door open when they have already locked it. The little boy is said to haunt the hallways every January 12th which is the date that he died. There are many different occurences in this hotel, slamming doors and spinning barstools are seen and heard after closing. Strange events occur without warning for example at one point, the heavy wooden front doors were locked, some of the employees were sitting around the bar when suddenly the heavy wooden doors opened and a cold wind went right past them. When they locked the door again, they saw a pair of childrens leather shoes walking up the stairs. The restaurant is believed to be haunted by many unknown spirits. There is a boy who appears to be around 15-16 years old that can be seen walking around the area. You can watch him walk away and he disappears into thin air. He can be seen almost every night walking around the teen-center at the end of Cedar Street at about 11:00 at night. He can be seen wearing a red hat and a blue jean jacket with jean pants, it has also been noted that he has blonde hair. There have been many repeated sightings, noises, and furniture being thrown around on the top five floors of the hospital. It used to be a hospital for the victims of the war. In the basement there used to be the morgue. They say that you can see the spirits that lives there and you can see from outside of the hospital as the blinds are all up that there is someone watching you. This is one of New Jersey's oldest historical landmarks, it used to be a tavern during the Revolutionary war. The attic was used as a hospital for the wounded soldiers. The original furnishings are still in the house and there are still bloodstains in the attic. On occasion it has been reported that witnesses have seen people walking in the upstairs areas and also heard the strangest sounds of people suffering. This restaurant is over 100 years old. Some of the waiters and waitresses have seen the ghosts of a bride, groom and wedding parties walking down the spiral staircase of the two floor restaurant, alwys late at night, when they're cleaning up. There is reportedly three ghosts that haunt this huge restaurant. There are reports from employees of hearing footsteps, the lights going on and off or flickering, doors opening by themselves, a clipboard flying off a desk, whispers, and someone's hair has also been pulled. These ruins are located along a dirt road called Bens Lane, toward the end of the road on the right, just off into the woods, there are two or three old stone foundations, all around these it seems that animals die, there are many bones that are visible on the ground for no apparent reason, when walking by at twilight people have seen a woman sitting on the edge of the largest foundation and crying, she is said to be a transparent shade of blue-gray. Based at Lakehurst, this compound is rumoredly the burial site of the remains of the Hindenburg which crashed there, there have been many reports of sightings, doors closing, amongst many other things that can not be explained that have happened there. This popular inn and restaurant is home to several different ghosts. There have been occasional sightings that mainly consist of mischief and strange noises. Pots and pans have been known to lift from their hooks and come crashing to the ground. There are pictures in one area of the inn that never seem to stay on the walls, no matter how they have been hung. There are a many haunted places at Drew University. The Great Hall that is a castle like structure that sits in the middle of the campus where the teachers have their offices. The upper floor is a long, red-carpeted room where religious services used to be held. The room is wood paneled with carvings along the beams, a large fireplace, and paneled doors, which blend into the wall. People have reported seeing faces in the ceiling carvings, the chandeliers swing sometimes for no reason, and people have also reported strange reflections of a man with round, gold spectacles in a mirror there. Feelings of being pushed to leave have also been reported. The arboretum is said to be haunted by the 'lady in blue' who appears near a lake in the back of the woods and likes to trip people, she appears during sunset most often, but has also been known to apper during the day. She appears filmy and no one has ever seen a face or body, just her bluish dress. The girl who haunts Hoyt, which used to be an all boys dormitory, was supposed to have slept with one of the boys, discovered she was pregnant, and hung herself in the attic. It is definitely true that the top floor has a lot of strange things happening. Witnesses have seen doors open, window shades fly up. It is generally known that boys do not do well on the top floor, they tend to fall for no reason and they usually break something, it has been an all girls floor for quite some time. A part of the underground railroad stretches underneath the campus all the way to the next town. This shop used to be called 'Andy K's'. Several of the former employees have reported strange happenings after the store closes at night. The reflection of a large man has been seen on the glass to the freezer case, which disappears upon closer inspection. The tomato sauce and mustard bottles behind the counter have been known to tip themselves over. Also, objects on the shelves are reported to have hurled themselves across the room with great force. First erected in the 1880's, the Crocodile Inn has been subject to many ghostly activities. Lights turn on and off on a regular basis and a dark shadowy figure has often been seen in the basement. There have been many sightings in this house. There is a lady in a white gown, and a young child. 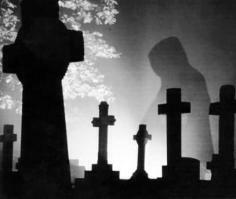 At night many people have heard footsteps from unknown or unseen beings walking up and down the staircase. This phenomenon has been occurring for many years and it is unknown what spirits walk the halls of this house. The crying of a little girl who met an untimely demise can sometimes be heard coming from the upstairs dining room, also in this dining room, cold spots can often be felt. These cold spots have been attributed to the spirit of a past Maitre De, for whom the room is named after. Is is believed that the old library keeper haunts this location on a nightly basis, there have been reports of lights turning on and books being moved around, there have been numerous sightings of the elderly woman in the window and also around the old garden that sits behind it. Many people that live in the nearby area say they have seen the lights turning on and off at strange hours. This place is believed to be haunted by the last descendant of the former owners and also by two servants. Frequently investigated, the spirit of the female owner has been known to be quite feisty and sometimes even cruel. Voices have been heard along with footsteps, there are portraits that follow you with their eyes, and other phenomena often occurs. The Old Dutch Parsonage is always closed at night. No one will go in there after dark. There have been many reports of people hearing screaming, things banging against the walls and floors from upstairs, also items getting moved around after they have been indexed or filed. This house is known to have a friendly spirit that enjoys pulling on gowns and tapping shoulders of guests and tour guides during interpretive tours and reenactments during the winter season. This building is roughly 100 years old and it used to be a schoolhouse before it became a theatre. There have been reports of being able to hear children talking. Also the occasional apparition of an older woman, who is thought to possibly have been a teacher, has been seen in the dressing room areas. Hosts of orbs have appeared in photos, also with whispy swirls of mist.